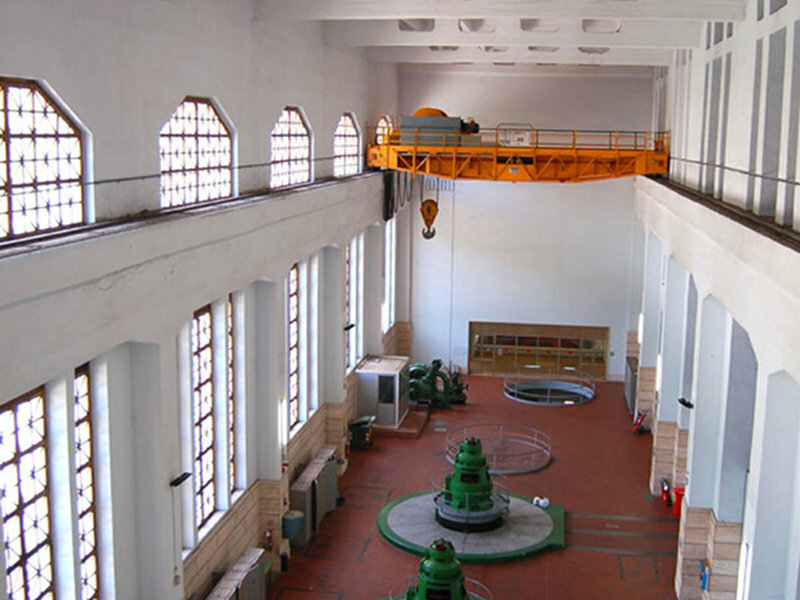 Galleto Hydroelectric Power Station was built by "Società Terni per l'Industria e l'Elettricità", according to a project by the Architect Cesare Bazzani, to meet the growing need of electric energy by the industry of Terni, in particular by the arms industry, and was inaugurated in 1929. During World War II, the Allied Forces tried more than once to destroy it and, in June 1944, the retreating Germans blew it up. At the end of 1945, the 4 production units had been restored. After 1962, the power station was nationalized and became part of Enel, which in 1973 doubled them with Monte Sant'Angelo power station. In 2001, "Società Endesa Italia" of ENDESA Group purchased from Enel all the hydroelectric power stations of the Nucelus of Terni, for which today Galleto power station together with the annexed Monte Sant'Angelo power station, produces about the 50% of the total energy. Galleto power station is supplied by the waters of Nera-Velino system, flowing from Piediluco basin through the so-called "Drizzagno" channel.